I saw X-Men: Days of Future Past this weekend, and I can’t help feeling that this is what the X-Men series was always meant to be. All of the series’ strengths are on display here and almost none of its weaknesses. SPOILER ALERT: Read no further if you haven’t seen the film yet because I touch on some key parts of its story in this article. Days of Future Past’s story focuses on a few core characters without feeling like it’s shortchanging all the others, which is something the first X-Men film really struggled with. It juggles several converging storylines even better than X2: X-Men United did. It wipes away all the wrongs inflicted on the series by X-Men: The Last Stand. It makes the best possible use of the younger versions of the characters from X-Men: First Class. And it completely ignores the two standalone Wolverine movies, which is definitely for the best. The first X-Men was a big risk in 2000. It was an ensemble comic-book movie when no one had ever seen one of those work before. Batman & Robin was the closest to a team-up movie (with its three “super” heroes) and that movie was utterly abysmal. Three years later, X-Men showed that you can stuff lots of superheroes in one movie and still have a coherent narrative. This paved the way for The Avengers and the upcoming Superman v. Batman. X2: X-Men United was even more promising. While the first film focused primarily on Wolverine and Rogue, the sequel branched out, giving much more screen time to Storm, Jean Grey, Mystique, and other characters. Relationships were explored, backstories explained, and other tantalizing tidbits were laid out for longtime fans and newcomers alike. They kept promising an all-out war between mutants and humanity, but we still had to wait to see that come to fruition. But then the series got into trouble. Director Bryan Singer left the project, and it only got worse from there. X-Men: The Last Stand didn’t feel like the natural culmination of the first two films as much as a rushed winding up, a la Mockingjay for all you Hunger Games fans. Characters were killed off left and right, others lost their powers, and still others were hastily introduced and then forgotten. By the end of the film, the series looked like an ash heap. Hardly anything we wanted to see was in this film. Then someone had the brilliant idea to tell a bunch of the X-Men characters’ backstories. This led to X-Men Origins: Wolverine, a decent action movie on its own merits but nothing close to the epic origin story the character deserved. 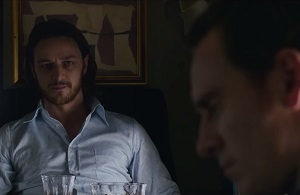 They tried to make X-Men Origins: Magneto, but that didn’t go anywhere and the spinoff series was soon abandoned. X-Men: First Class was a step in the right direction. But it felt more like a reboot rather than a prequel. We had some of the characters from the original films, like Charles Xavier, Magneto, and Raven (or Mystique). But they were all played by different actors and there wasn’t enough time devoted to Xavier’s and Magneto’s relationship. That should have been at the heart of the film, showing how two men who were such good friends in the beginning became bitter enemies later in life. And then there’s The Wolverine. I like that they finally showed a continuation of the story after The Last Stand, but this film served to highlight just how bad the series had gotten. Instead of moving on and doing something with his life, Logan had chosen to hide in the mountains and play it safe. Talk about a perfect metaphor for the X-Men series after that disappointing “final” chapter. They couldn’t figure out where to go after The Last Stand so they just hid from it, making prequels and this completely unrelated sequel. But now, all’s forgiven and forgotten. X-Men: Days of Future Past has managed to right all the wrongs of The Last Stand and bridge the gap between the original X-Men and X-Men: First Class. I love that Logan isn’t just trying to figure out his past or navigate his screwed-up brain this time around. Now it’s up to him to convince a young Xavier to embrace his inner Patrick Stewart and become the man who the X-Men are proudly named after. Instead of relying on his claws to solve problems, he has to be persuasive and use his mind. It’s a clever twist on the character. Logan and Xavier switch roles from where they were in the first X-Men. 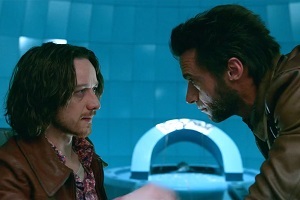 Now Logan is the teacher and Xavier has serious internal issues he needs to confront. 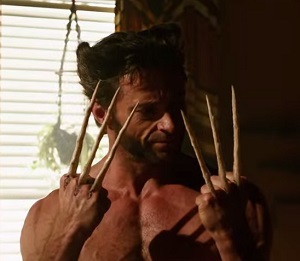 While Wolverine may seem like the main character at first, the real focus of the movie is Xavier and Raven. Xavier has to overcome his pride, anger, and other faults to become the inspiring leader we know he will be. Raven is torn between two masters. She wants to seek revenge for the horrible things done to her friends, like Magneto would do. But she also wants to stop the killing by showing people that mutants are better than they think, like Xavier would do. In the end, the future is entirely in her hands – and so is Logan. The earlier films kept teasing us with hints of great things to come. This film finally delivers on all of those promises. The 14-year wait was worth it. We, unfortunately, will never get to see a fight between an Adamantium-clawed Wolverine and a sentinel, but other than that, Days of Future Past has everything you could want in an epic X-Men adventure. This is the perfect have-your-cake-and-eat-it-too film. We get to see characters being killed off left and right while opposing an unstoppable force and then see them live to fight another day thanks to the film’s clever use of time travel. Days of Future Past reminded me of the season 3 episode of Star Trek: The Next Generation called “Yesterday’s Enterprise.” In that episode, the Enterprise-D encounters the Enterprise-C, which has come through a time portal and altered history for the worse, as a result of its leaving the timeline. In the altered timeline, the Federation is on the brink of losing a devastating war to the Klingon Empire and their only hope is to return the Enterprise-C to the past to correct some wrongs that happened where it came from. The Enterprise-D stalls for time, even though it’s outnumbered and outgunned by the Klingons. It’s about to be destroyed when the Enterprise-C makes it through the time portal and suddenly it’s like nothing bad ever happened. The true timeline is restored and there’s only one character who has any recollection of how close they came to total annihilation. 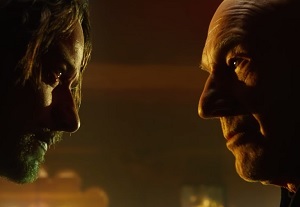 Days of Future Past is very similar. Xavier and his mutants play the same role as Captain Jean-Luc Picard and his crew, Wolverine takes the place of the Enterprise-C, and the sentinels replace the Klingons. “Yesterday’s Enterprise” is one of the best episodes of Star Trek: The Next Generation and Days of Future Past is definitely the best entry in the X-Men series, so they have that in common, too. Another interesting comparison to Days of Future Past is the original Superman series. The first two films in that series are nearly flawless. They came out when superhero films were in their infancy, and they showed so much potential. But then Superman III turned out horribly and the series quickly faded into absurdity from there. Imagine if, years later, someone had made a sequel that ignored the substandard sequels and told a grand story that everyone had been waiting for, such as the Doomsday saga or the rise of Darkseid. It’s ironic that Bryan Singer directed the movie that should have been that redeeming entry in the Superman series, 2006’s Superman Returns, because he managed to accomplish this superhuman feat for the X-Men series with Days of Future Past. All of the setups of the first two films haven’t been wasted. It just took a long time to get the proper payoffs they deserved. 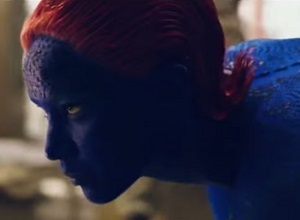 Now that we’ve finally seen a truly epic X-Men movie, I say: Bring on the Apocalypse. This entry was posted in Random Stuff and tagged action movies, batman, bryan singer, comic books, films, movie review, movies, movies based on books, science fiction, sequels, star trek, superman, wolverine, x-men. Bookmark the permalink. Good review Rob. This franchise has had its ups and its downs, but thankfully, things seem to be looking better for it now. Hopefully that stays.